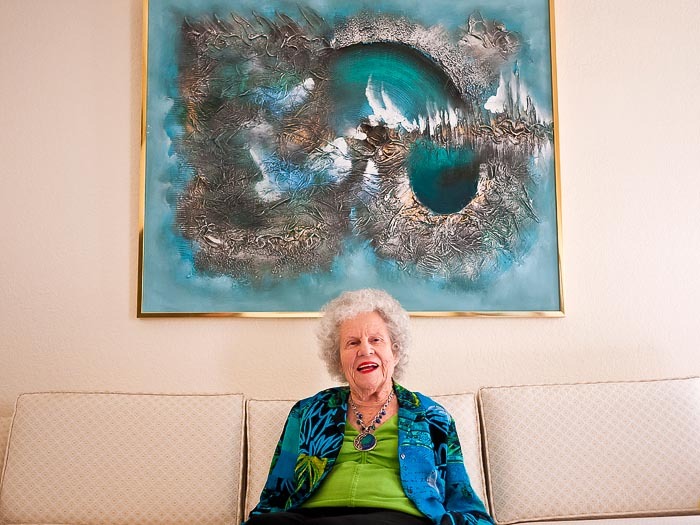 Meet Elizabeth Lawton, one of Arizona's centenarians. She and her husband live in Sun Lakes, about 40 miles southeast of Phoenix, and they haven't let changing centuries slow them down one bit. The state is marking its centennial with a special party for Arizonans who are also at least 100. 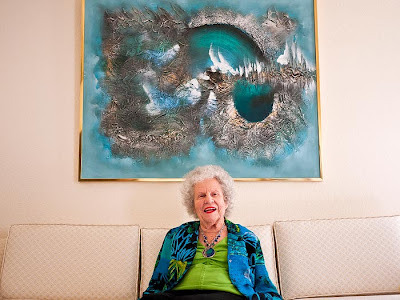 While I photographed Mrs. Lawton, she joked about outliving three husbands and that her current husband, at a mere 95, was much younger than she. It seems fitting that the state is honoring its residents who are at least as old as the state is.